Toylogic will continue to support the game into 2014. It has been a year since Happy Wars hit the Xbox Live Arcade scene, and it has not disappointed us in co-op standards. Not only does Toylogic’s success come with many exciting plans for the future, but also the “Wartober” event currently underway through the month of October. To this day, there aren’t many free-to-play titles out there that support mass-multiplayer, let alone a full-fledged co-op mode. 6 million players have experience the game thus far, and it will only continue to grow. Co-Optimus would personally like to thank Toylogic and Microsoft Studios for all their hard work in making this a model, free-to-play co-op title on a console, as well as the community as a whole; helping shaping the game to what it is today. After an entire year of new additions and updates to the game, one might wonder: where can Happy Wars go now? Fittingly, we are happy to hear that support for this title will not end any time soon! Microsoft recently announced that Happy Wars will be continuing on through its next series of content, coming in Happy Wars: Season 2! If you haven’t already heard, the “Wartober” event has been ongoing through the month October. Until the 31st, gamers will find new content in: playing as the latest classes (Zephyr and Engineer), earning special Halloween-themed goodies (like a new map) and Happy Stars, and finding special discounts on in-game purchases daily. 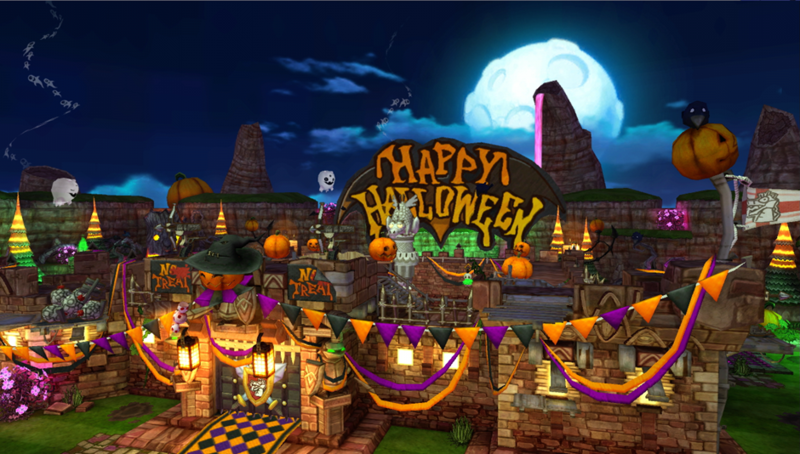 After some Trick-or-Treating, booting up Happy Wars for a few rounds of co-op games would be a fantastic way to finish off the Halloween night. 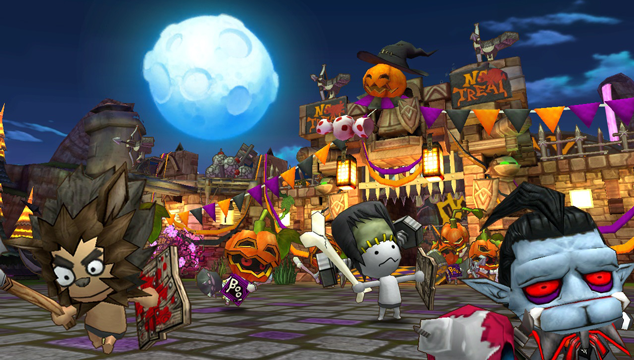 Happy Wars is a 16-player online co-op title for the Xbox Live Arcade.